Stryker metal hip V40 implant failure lawsuits are being filed nationwide. According to confidential sources, another huge defective hip recall is coming down the pike and Stryker Orthopedics will face the brunt of it. Stryker is exposed to another defective hip crisis associated with their total hip replacement medical devices, involving its large LFIT-V40 chrome/cobalt heads. These metal alloy femoral hip heads have been reported to cause catastrophic dissociation (this is where the femoral head snaps off) or metallosis (metal poisoning) requiring emergency revision surgery. Stryker last faced a major hip device recall in 2012 with the recall of its popular Stryker Rejuvenate and Stryker ABGII modular hip stem devices. 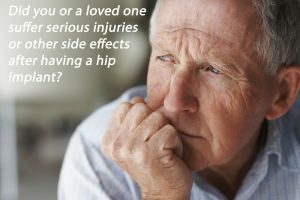 What is the Stryker V40 Head Hip Implant Defect problem?